Lale Westvind's latest – her first work done in collaboration with the fine folks at Perfectly Acceptable Press in Chicago – is a wow! 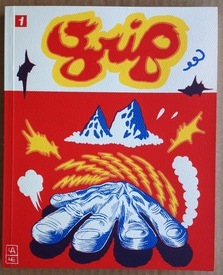 An amazing 68-page risograph extravaganza – with a 3-color, screen-printed cover – Grip is a pantomime graphic novel, of which this is the first part. 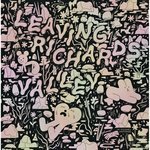 One work at a time, Westvind has been painstakingly developing a unique, personal and highly effective cartoon language, and Grip is a particularly outstanding instance. Perceptions, emotions, fantasies and realities bend and blur and merge in Westvind's accomplished hands. Taken together, it's all about the ways in which we "get a grip."